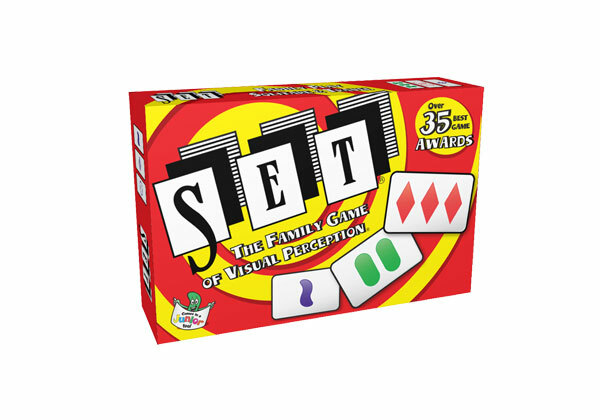 SET is one of the most awarded games of all time! Race to find as many SETs as you can—the player with the most SETs at the end of the game wins! Play SET solo or with as many people as you can fit around the table! It’s perfect for travel, parties or as a quick after-dinner game. Fast-moving and fun, SET is a perfect for any get-together with family and friends! It’s Triple Matching Mania that anybody can play, but nobody can stop!